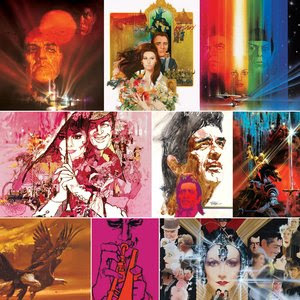 I've been meaning to mention that I had the good fortune to visit a gallery showing a couple weekends ago of "Bob Peak: The Father of the Hollywood Poster" at Gallery Nucleus in Alhambra. Tucked away in the downtown area of this small incorporated city east of downtown L.A., Gallery Nucleus is a funky little art gallery and art store. Even if you have never heard the name of Bob Peak, chances are you've seen his work. The gallery features a mixture of original pieces, limited prints, and rough comps and illustrations. 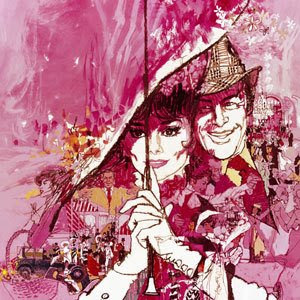 As the title of the showing suggests, there is an emphasis on his iconic movie posters, with films like My Fair Lady, Pennies from Heaven, Star Trek, The Spy Who Loved Me, Apocalypse Now, Camelot, Superman, and The Year of Living Dangerously represented in the exhibit. But as a visit to his official website shows, Peak was an all around commercial illustrator, whose work appeared on magazine covers like Time and TV Guide, and in fashion and advertising art, postage stamps, etc. As I've said in the past, it's always a treat to see an original piece up close which can give you a sense of the artist's working style. Here, you can see that Peak used mixed media in some pieces, often employing cutouts and other approaches for his work. 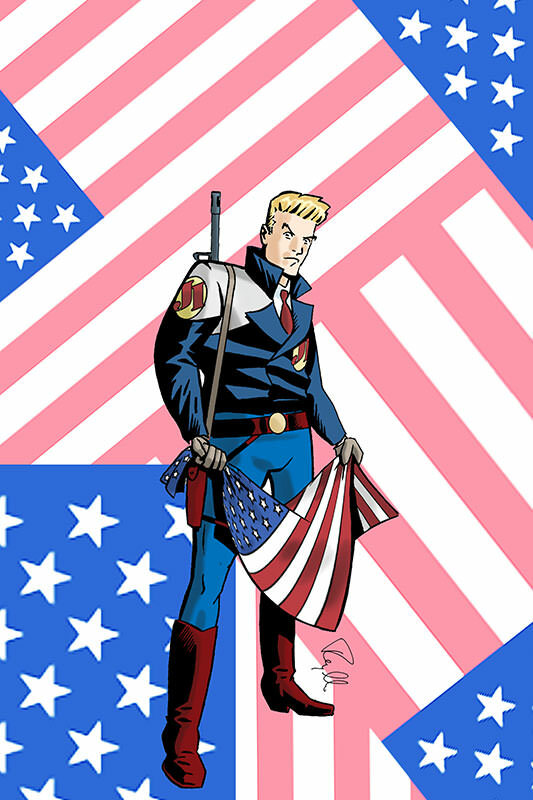 I'm posting this kind of late since the show ends this week on June 25. But if you get the chance, run over and catch it! For a brief piece about the show from the Los Angeles Times, go here.